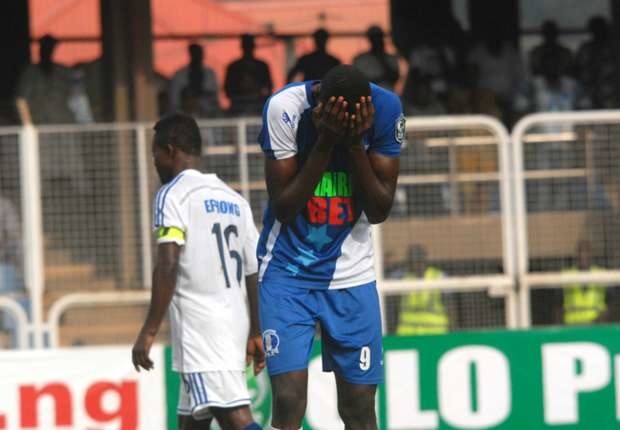 It was a sad end for Ibadan based Shooting Stars (3SC), as they lost 2-0 to Niger Tornadoes to confirm their relegation to the lower league – the Nigeria National League. 3SC’s 50 points from 38 matches was not enough to keep them in the Nigeria Professional Football League any much longer. The Oluyole Warriors lost 2-0 away to Niger Tornadoes on Saturday to dash any hope of surviving relegation. Tornadoes went ahead after just 12 minutes of action when Babawo Ibrahim headed past Charles Tambe from Odeyemi's cross. 3SC would have canceled the goal in the 39th minute from a long throw into Tornadoes’ danger area by Suraj Sodiq, only for Abu Azeez to completely miss his shot. After the break, Tornadoes put the game beyond their visitors when Ebenezer Odeyemi scored after he beat Tambe from close range following good work by Momoh and Adeyemo. Shooting Stars and Ilorin based ABS FC now join Gombe United and Remo Stars as the four teams saying good-bye to Nigeria's premier league.